Missy H. Johnson writes: According to my grandfather, Dr. H.G.Davis, Jr., his father traded their family farm for this house, and they moved into it when he was 10 years old. My great-grandmother, Lillian Wingate Davis, operated a dairy in the back yard. The top photo is present-day (2018) and the other image dates to 2012. It’s so wonderful to see this restoration. Is Lillian wingate davis from any of the wingates from waycross and willacoochee? My great-grandmother was Lillian’s baby sister, Cary Estelle Wingate Perryman. 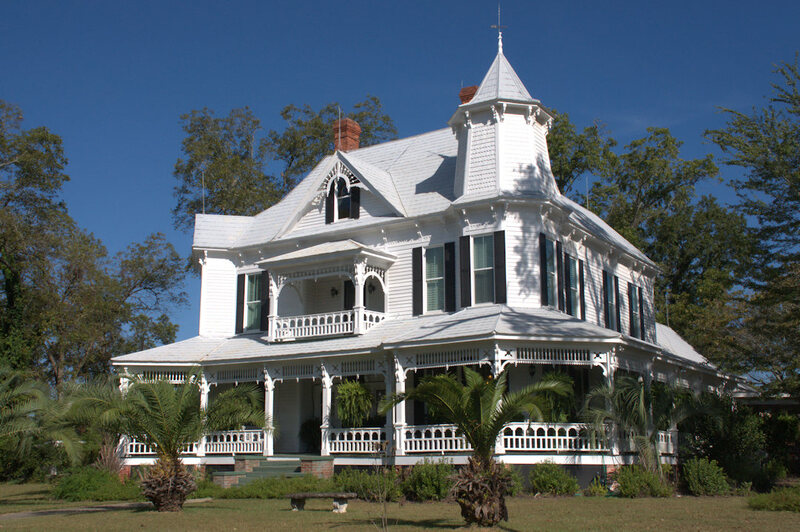 There are a couple of photos of this house with Lillian and her husband standing in front of it in the Wingate Reunion books from the reunions in Sylvester many years ago. I believe there may be copies housed in the library in Sylvester. My parents live in this house currently. According to my grandfather, Dr. H.G.Davis, Jr., His father traded their family farm for this house, and they moved into it when he was 10 years old. My great-grandmother, Lillian Wingate Davis, operated a dairy in the back yard. I don’t want to write a book here, but let me know if you want any more information. 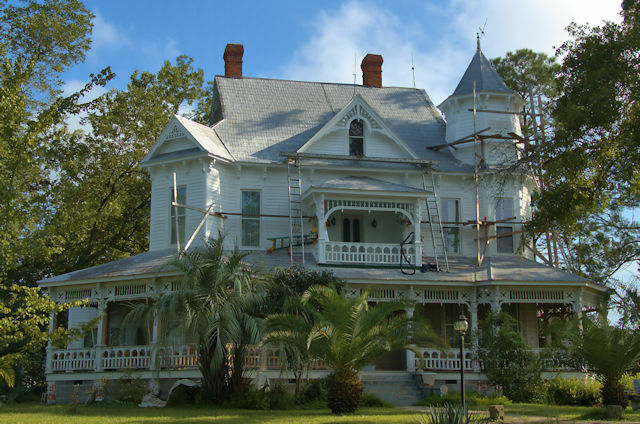 so glad to see this grand old house being restored! Is the Hillhouse family home? Oh WOW! that is such a beautiful house.